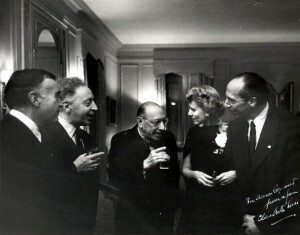 El Salon Mexico was a highly labored over composition Copland was particularly enthusiastic about writing. Spending over two years on its composition, Copland was in correspondence with Mexican composer Carlos Chavez years before its actual premiere in the Fall of 1937. 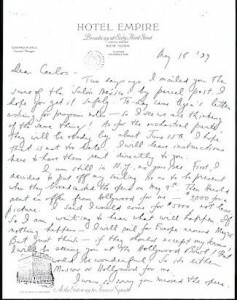 The correspondence between Copland and Chavez reveals Copland’s strong interest in the pieces reception critically both in terms of popularity but also particularly centered on the acceptance of it as Mexican music. 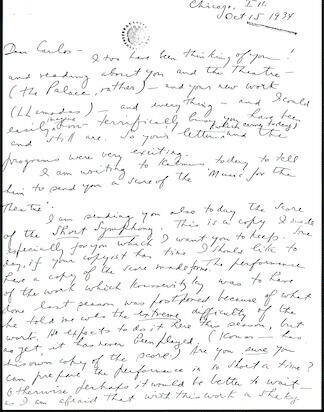 The correspondence between Copland and Chavez provides a fascinating insight into the concerns and enthusiasm that Copland had over the piece and shows that Copland himself was very consciously thinking about the issues of race and musical representation during the composition of his piece. Some interesting questions to ask would be whether or not Copland ought to be writing pieces which he worries are “authentic” only to an audience they do not belong to. Is it reinforcing racial stereotypes if the culture wildly raving the piece as “Mexican” is America? Is Copland advocating the writing of stereotyped pieces? Or is he trying to authentically capture and represent what might constitute as “Mexican music?” Would doing so be a respectful celebration or appropriation of Mexican music? 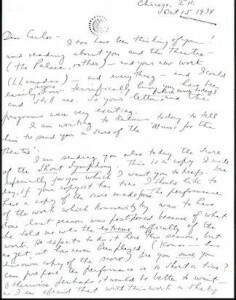 Is Copland’s correspondence with Chavez reveal a genuine desire to please Mexican audiences or to market to American audiences? These are all questions without answers, because that’s what this class is about. Kostelanetz, Richard. Aaron Copland: A Reader. Great Britain: Routledge, 2004. Print.